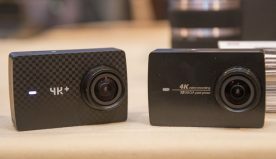 JVC today announced the availability of a new high definition Everio camera with built-in Bluetooth wireless technology, allowing the camera to work with a variety of other wireless devices. In addition, the new Everio GZ-HM550 features a 10.6 megapixel CMOS sensor for recording high quality Full HD video and nine megapixel digital stills to its internal 32GB flash memory. An SD/SDHC card slot provides the camera with additional storage. 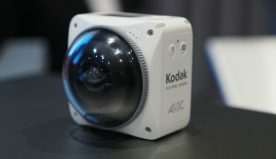 Among the capabilities the cameras Bluetooth technology offers is control of the camera using a smartphone, geo-tagging of videos and stills and use with a compatible Bluetooth headset. With the installation of a supplied application, a Bluetooth-equipped smartphone can be used to control the camera remotely, allowing record, zoom and play operations. Use the camera with a GPS device to record location data of where movie and still files were recorded. The data synchronizes with Google Earth when viewing the file on a PC using the bundled Everio MediaBrowser software. The camera can also be used with a Bluetooth-equipped headset to monitor the recorded sound or for voice recording. Aside from offering built-in Bluetooth wireless technology, the GZ-HM550 provides all the quality and convenience features to appeal to consumers who are looking for a high-performance camera in a compact package. Its 10.62 megapixel Back-illuminated CMOS sensor enables shooting of 1920 x 1080 Full HD videos and real nine megapixel digital stills. The KONICA MINOLTA HD LENS is currently one of the worlds smallest and slimmest HD lenses, and offers 16x dynamic zoom without any degradation of picture quality. 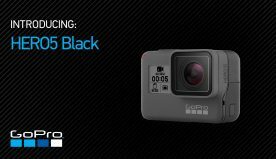 All this is further supported by new technologies that ramp-up basic image quality, including Super LoLux and Advanced Image Stabilizer. Super LoLux improves low-light sensitivity to capture clear images with precise colors even in low-light environments. The GZ-HM500 is also equipped with both an LED light and a flash for shooting in dark situations. Advanced Image Stabilizer ensures steady images even while walking, and is especially effective when shooting bright scenes from full wide to 5x zoom. Recorded content is stored on the internal 32GB flash memory, with an SD/SDHC card slot to provide additional storage. And like many other models in the new Everio lineup, the GZ-HM550 offers new advanced shooting functions like time lapse recording and Auto Recording. Time-lapse recording makes it easy to create a sophisticated effect simply set the camera to record in intervals ranging from one to 80 seconds. When played back, hours-long segments will be reduced to mere seconds. With Auto Record, recording automatically begins when a person enters the picture a convenient solution for home surveillance, recording wildlife, and more. Also Motor Drive Shooting (nine megapixel stills up to 15fps) and Ultra-Slow Motion Playback by high speed recording (up to 600fps) are available. Digital files created can be easily shared in a variety of popular formats with the enhanced Everio MediaBrowser software for Windows which now provides automatic conversion of HD videos for immediate sharing on YouTube at HD or SD resolution. Files also can be directly exported to iTunes and synced with an iPod or iPhone, or burned to DVD, all with just a few mouse clicks using the same Everio MediaBrowser application. To make it easier for the user to find and play any desired scene, the GZ-HM550 offers Face Flow Thumbnail, a feature that displays thumbnails from a particular section of a video by automatically selecting and zooming into human faces. And to make shooting and carrying easier, the camera has a redesigned grip belt that works in two ways as a conventional handle-style grip when both ends are snapped in place or as a strap when one end of the belt is released. 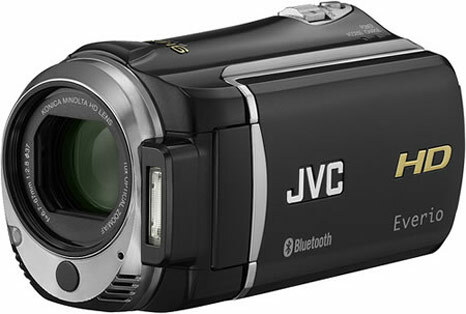 The JVC GZ-HM550 Bluetooth enabled camera is available now for $799.95.